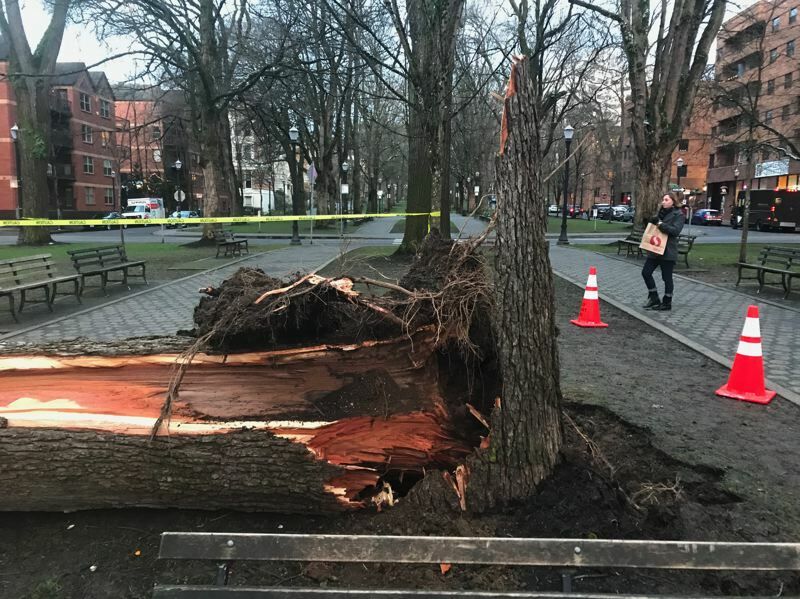 A 100-year-old tree fell in the Park Blocks ... and plenty of people heard it. Neighbors living near the corner of Southwest Park Avenue and Clay Street thought they'd heard a car crash on Saturday, Feb. 9. But when they rushed outside, they discovered that a leafless sentinel had taken a tumble onto two parked cars. "No forewarning, no wind or anything like that. Just heard a big crash," local resident Michael Williams told KOIN 6 News, the Tribune's media partner. "All the car alarms went off." Parks officials say the American elm tree was "well over" 100 years old and may date back to the first plantings in the Park Blocks in 1879. "The wood will be turned to woodchips and mulch used to line trails in parks, dog parks and flower beds, and in community gardens," Mark Ross, a spokesman for Portland Parks and Recreation, said in a message to the Tribune. "The South Park Blocks have a long history of soil manipulation over the decades. Additional soil compaction, irrigation, sidewalks, etc. all create less than a favorable environment for the trees." 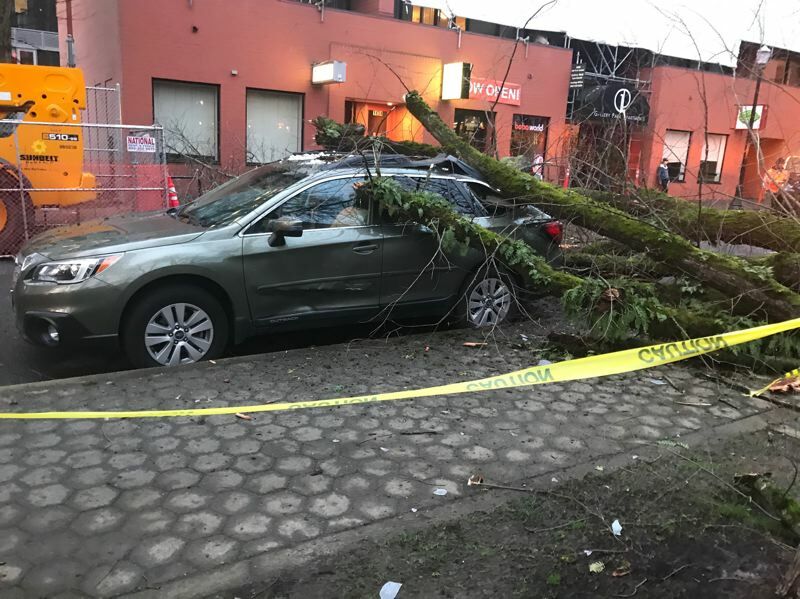 Work crews responded to cut up the tree on Saturday, which was blocking parts of the street and the sidewalk, and were scheduled to remove all branches on Monday. The tree had a root disorder that was apparently undetectable during visual inspections. The large tree didn't hit any power lines, and no injuries were reported. The dumping of snow and ice onto the city this weekend likely contributed to the collapse. 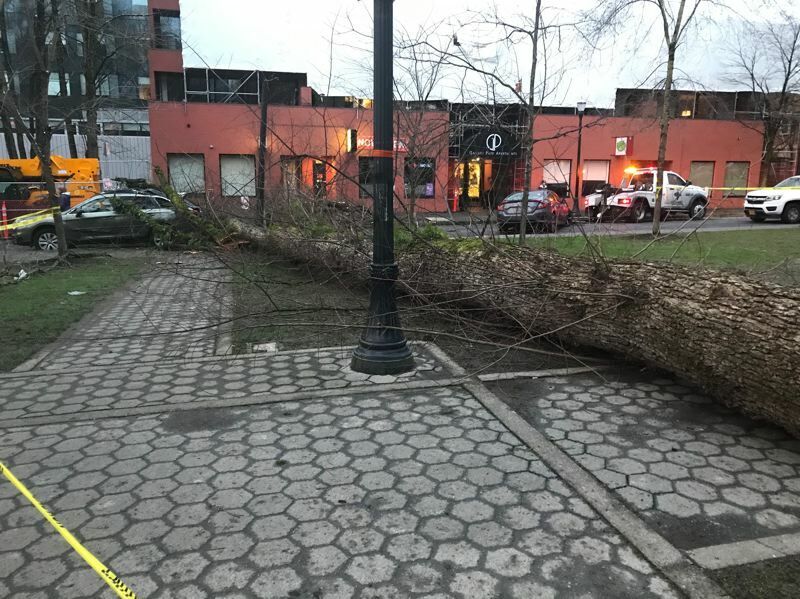 The Parks bureau says wind speeds of 30 miles per hour were recorded downtown on Saturday.